Markets entered the week with a more “risk-off” tone, as weaker Chinese trade data added to concerns over slowing global growth and the US partial government shutdown entered its fourth week, both weighing on sentiment. Equity markets were lower across the board in both Europe and the US with the S&P 500 down for a second session in below average volume, led by technology companies after China’s slumping export figures fuelled worries about the growing impact of the U.S.-China trade war on worldwide growth. 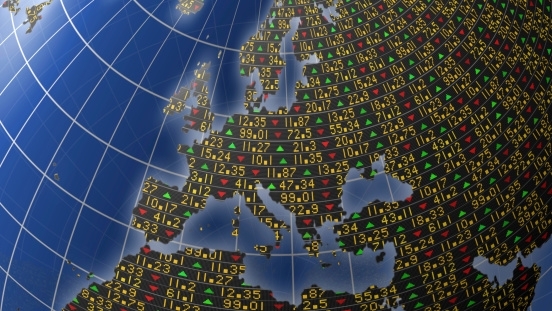 In Europe, tech stocks dragged the Stoxx Europe 600 Index lower, reversing four days of gains. Currency markets saw the US dollar lower reflecting the equity weakness but the EUR remained steady after data showed that industrial production slowed over the November period. A better gauge for EUR direction will come later tonight as the EU will release November Trade Balance, while ECB’s head Draghi will testify before the European Parliament, in Strasbourg, on the central bank Annual Report. The UK Pound edged higher overnight, as the Brexit shambles reaches a head tonight as the exit deal drafted by UK PM May goes to a vote in the UK Parliament. Market perception is that May’s plan is unlikely to get approved, but what’s keeping the GBP elevated is speculation that the rejection of the plan would end in a no-Brexit or maybe in a delay of the Article 50 exit, however the government has said multiple times that it will leave on March 29 with or without a deal. Hang on tight it, could be wild ride for the GBP over the next 24 hrs..! Little in the way of major releases for the Australian & New Zealand market this week, leaving both the AUD & NZD continue to be buffeted by offshore winds. Australian Retail Sales printed slightly better than market expectations last week at 0.4% from the 0.3% expected. This boosted the Aussie pushing up price towards 0.7250 during late Friday overnight trading. US CPI figures released in line with expectations at 0.1% for the month of December offering no real upside momentum to the currency markets, the Aussie squeezing higher as the risk mood swayed slightly to the upside. The Chinese Yuan has risen also to 5 month highs against the big dollar giving it further reason to finish the week on a high. The US Government shutdown is still very much the centre of attention on the world scene with Trump announcing no formal “state of emergency” would happen but remains staunch on his Mexico wall to be build – requiring funding from the democrats. Westpac Consumer Sentiment is published Wednesday- we are expecting this to not be pretty. The New Zealand Dollar has held up rather well since late last week as US equities continue to dampen the unpredictable risk environment. The Three main US indices are all down over 1% during the overnight sessions as economic impacts of the US Govt shutdown weigh on currencies. Several Banks have made early predictions on interest rate views this week with one saying the NZ economy could be far worse off towards the end of the year with a drop in the OCR rate to 1.50%. The other has suggested the opposite with a hike in the last quarter to 2.0% based on a raft of positive economic indicators. One thing’s for sure we are in for a wild ride. The US DOW Index dropped a whopping 9% in the month of December 2018 but comparatively our local NZX only fall by 6%. With Real Estate being a key NZ driver of “wellbeing” we will see if prices especially in Auckland hold up into 2020. On the docket this week is the Global Dairy Trade Auction (GDT) tomorrow, farmers will be expecting a rise to match the 2.8% increase in overall prices from a fortnight ago. It’s all happening in Trump land at the moment with the Government still on Shutdown. The President has insisted that his Mexico wall be built and needs funding approval by the Democrats as they have rejected his request for build costs of 5.7Billion. The problem is this was one of the President’s key campaign pledges and backing down is not an option. The Democrats have said they would not negotiate unless the government is at least temporarily opened. Currently there are 800,000 government workers who remain unpaid as the shutdown has become the longest in US History. The Chairman of the Senate Judiciary Committee has asked the President to reopen the government to get negotiations underway again. If talks then fail to agree any funding President Trump could declare a national emergency. If this happens it would be a disaster, currencies would remain risk off for some time. The Fed’s old 2018 forecast of continuing to Hike in 2019 is now firmly gone and priced out of markets and currency curves. We will a busy week of data with Industrial Production, New home sales and PMI to print all having the threat of creating volatility. The Euro climbed against the US Dollar last week but had a mixed week against all other majors. With softer data out of Europe late last week the Euro has held up well and been mostly supported. With the Fed taking a break in 2019 from hiking further and White House dramas unfolding – the current shutdown of the US government, these factors should hold the Euro in good form this week. With most of the attention in the EU focusing on Theresa May’s parliament Brexit vote tonight focus lies here for direction and currency flows. Draghi speaks tomorrow morning due to testify on the ECB’s annual report. No tier one data this week just the French Budget, Italian Trade Balance and the Euro Current Account to release. The British Pound has enjoyed patches of bullish momentum over the past few days. Broadly speaking it has traded higher than all major pairs except the NZD and AUD. With Theresa May’s Brexit agreement to be voted on by Parliament late tonight she faces almost certain defeat based on the level of support for her “agreement” to date. This could leave the situation of the current government in a position of risk of complete collapse. The UK is set to leave the European Union on the 29th of March 2019. If the vote is a NO then the possible outcomes include – May getting a vote of no confidence followed by her resignation, a general election, a second referendum, a potential delay of Britain’s withdrawal on the 29th of March (article 50) or quote possibly all of the above, who knows. Recent polls have suggested that is the UK were to stage another referendum today the vote would be somewhere around: Remain – 54% and Leave- 46%. The original vote was – Remain 48.1% and Leave 51.9%. This shows how the months of uncertainty has affected how people would now vote with over 70% of people claiming the British government has handled Brexit poorly. Data on the Calendar this week will generally take a back seat top Brexit – CPI releases Wednesday and Retail Sales Friday. Whatever happens this week expect the Pound to not be trading anywhere close to current levels. Japanese Yen holiday Monday made for thinner than normal Monday trading conditions. With Risk sentiment the theme based on the US Govt shutdown and falling equities not to mention the global outlook for growth optimism falling, the Japanese Yen has remained and will remain a currency of choice going forward. Bank of Japan’s Momma saying the Yen could strengthen to 100.00 over the coming months based on yen demand. The US Dollar will in line – remain under pressure as the market continues to digest the Fed’s recent dovish stance. Powell said he was worried about the massive US govt debt and he would remain patient in regards to monetary policy. Japan’s governor Kuroda speaks Thursday the only key Japanese interest this week. The Crude Oil recovery has helped to reinforce the strength in the Canadian Dollar (CAD) over the last fortnight making it a major contributor in price momentum for the Loonie (CAD). Reversing from 1.3650 against the US Dollar it has pushed to early December levels around 1.3180. Even as the Bank of Canada (BoC) left rates on hold last week saying the slowdown in economic activity would be temporary, this wasn’t enough to halt the momentum in a bullish Crude run back to mid 53.40 and push the CAD higher. Although the risk sensitive Loonie is under a little pressure today based on a slip in crude prices overnight the CAD has stayed in the zone and is still bullish against the big dollar. The only tier one data this week is monthly CPI. © 2017 Direct FX. All Rights Reserved.